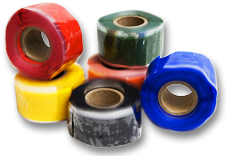 Order includes: 6 rolls of standard-size Rescue Tape (1″x12’x.020) in any combination of our 8 standard colors. 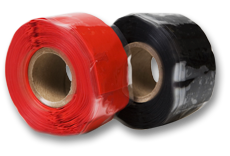 Each roll comes individually packaged in a reusable package with instructions. 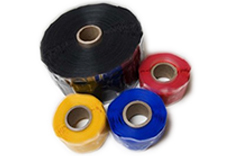 If no colors are specified, we will send one roll each of colors pictured: Black, Red, Blue, Yellow, Green, Orange. Written by: Edwin Aceituno on March 26, 2015.on April 13, 2019. Rescue Tape is invaluable! I have used it on my boat, household plumbing and even my hot water steam boiler. I have a roll in my car just in case. Rescue Tape has been on my 30 year old boiler for 2 years to stop a steam leak at a rusted junction. It works! Unbelievable! 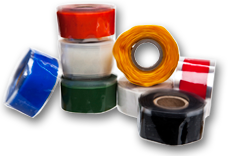 Don’t be fooled by competitors such as Atomic Tape. 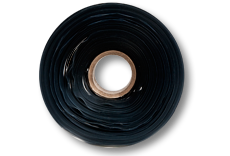 I tried it once on my boiler and the tape just split, even with several wraps and peeled off within a few days. An inferior product. In addition, I met the owner at a boat show and he was very unprofessional. Stick with Rescue Tape. I feel it handles every job. I always keep a few extra rolls in the house. Bought this at OSH at higher $$. 🙁 Had a water leak at a galvanized tee. Will replace pipe with copper eventually but it’s holding up fine after two months. Also used it on a USB connector where the outer sheath separated from connector. Also solid. Giving rolls out as X-mas stocking stuffer. No home should be without one ( or two) rolls.